Fry up an incredible meal in the Coleman® Rugged 9.5 in. 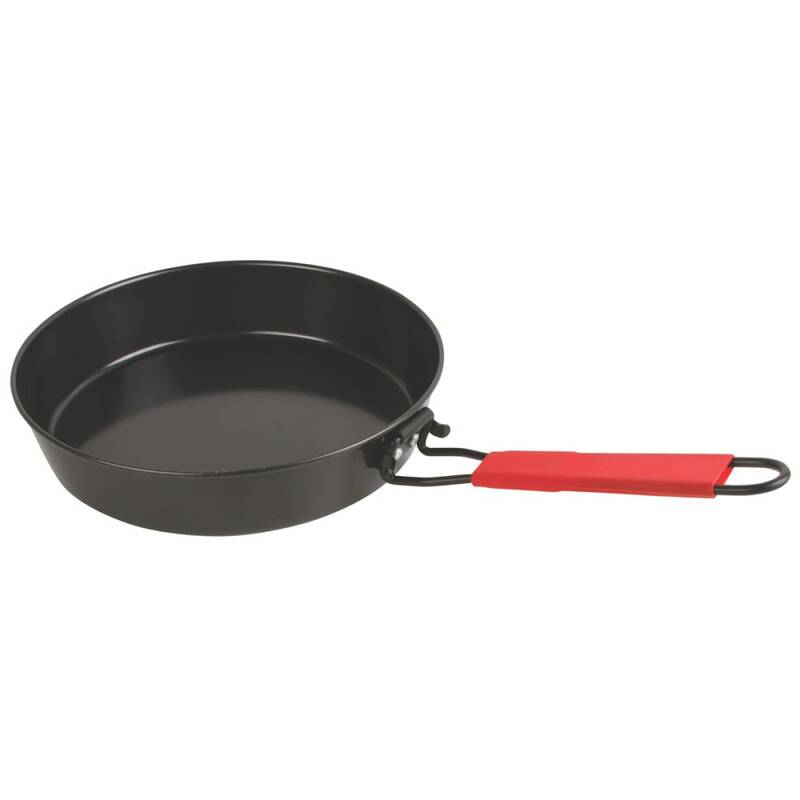 Steel Frying Pan. 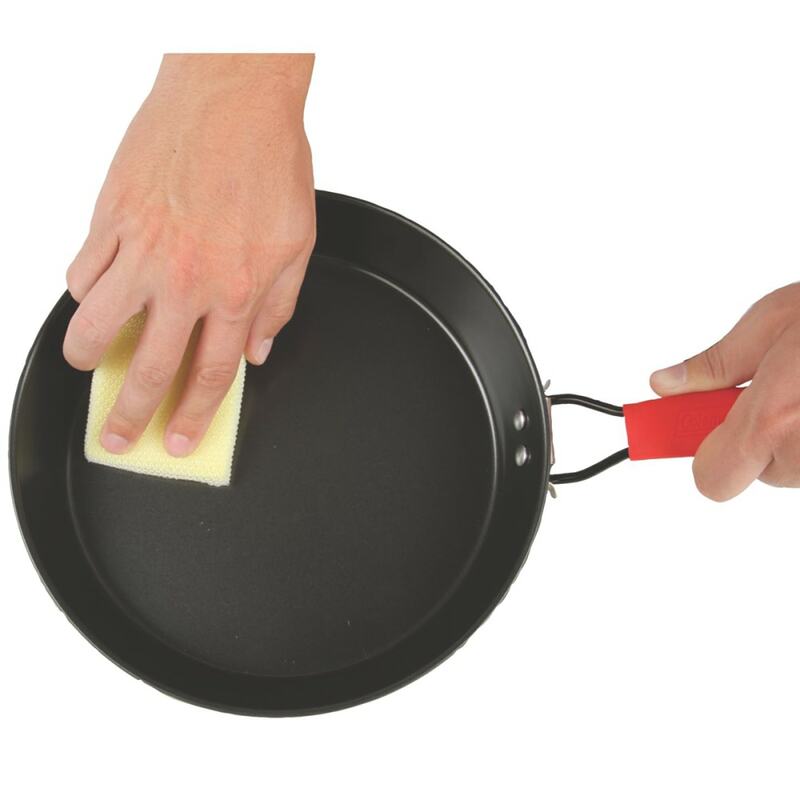 The heat-resistant, silicone sleeve on the handle provides a cool grip while you're cooking. When you're done, the non-stick coating makes it easy to wipe down at the campsite, and when you get home, you can put it in the dishwasher for a more thorough cleaning. 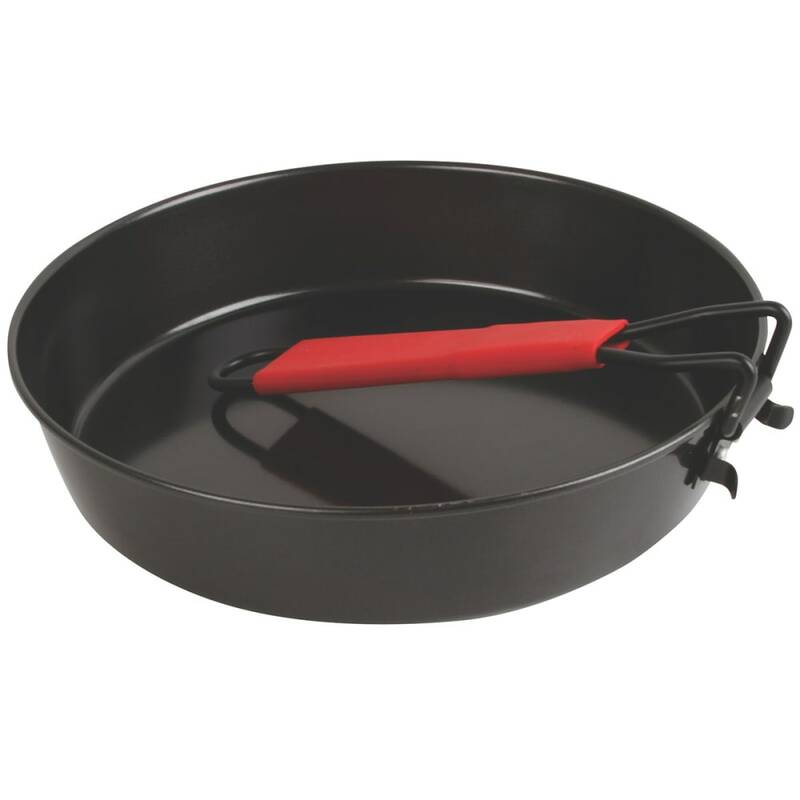 Afterwards, the handle folds over the pan for compact storage, until you're ready to whip up your next outdoor feast.